Tickets go on sale today as Abergavenny Food Festival announces the full line up for 2015. September 18, 19, 20 will once again welcome thousands of visitors to Abergavenny to sample the best food and drink the UK has to offer. 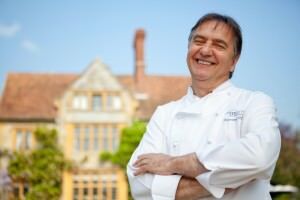 Raymond Blanc OBE will be appearing in his capacity as President of the Sustainable Restaurant Association. In conversation with Sheila Dillon from BBC Radio 4’s Food and Farming programme, Raymond will explore the roots of his passion for produce, dread of waste and respect for the land. 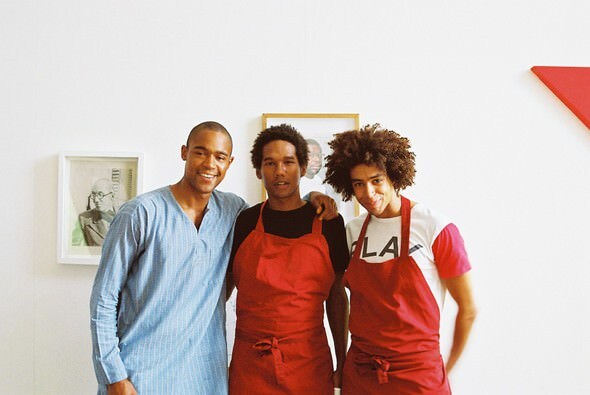 He will reveal how early lessons learned from Maman Blanc have guided him throughout his career as chef and restaurateur – and how only by understanding that food connects with every part of our lives, can we truly secure a future for our food. The Festival line up also boasts Bake-Off champion Frances Quinn guiding you through her unique style of baking; exciting new London trio, The Groundnut Boys demonstrating recipes from their African Heritage with a contemporary twist and Festival favourite Cyrus Todiwala OBE who has been changing perceptions of Indian cuisine since his arrival in the UK from Goa in 1991. 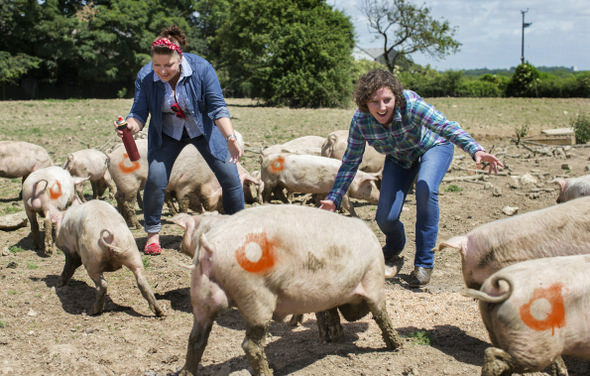 It’s not just Festival goers who benefit from the biggest food Festival in Wales. 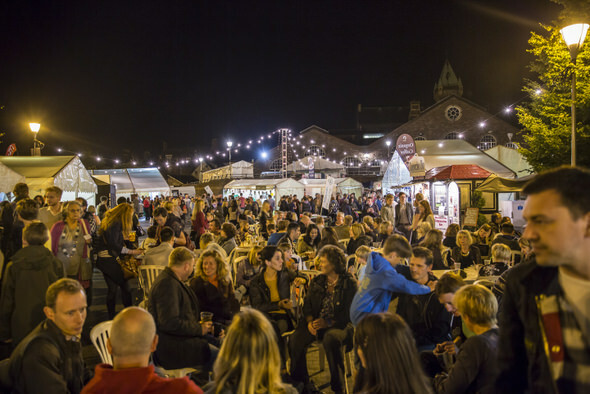 It is estimated that the Festival brings £4million to the local Welsh economy, with the majority of 30,000 visitors spending between £50 and £100. Each year the Festival raises over £9,000 to local community groups, supports around thirty fringe events across Monmouthshire and employs an extra 120 young people over the festival weekend. With parties on both the Friday (Swing Time at the Castle) and Saturday (Party at the Castle) evenings, visitors can experience music, dancing and food in the enchanted atmosphere of Abergavenny’s ancient castle. Roll up your sleeves and book a place at The Artisan Kitchen School which gives you a unique opportunity to receive expert tuition first hand, taking your creations home with you. 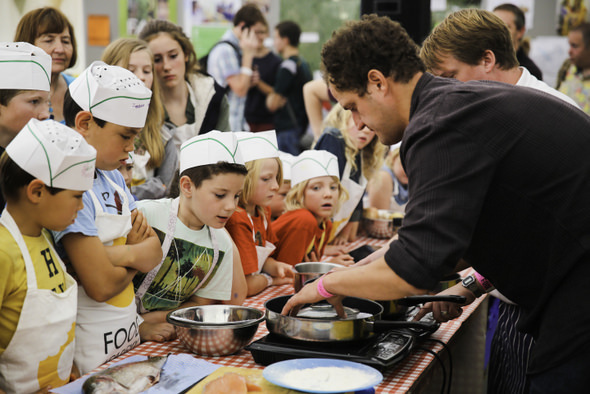 Children can show off their culinary talents at the Food Academy with a weekend of free hands on workshops for over 320 children and activities to tempt the most budding mini-master chef. Fast becoming an institution of the Festival, Rude Health Rants are back for their seventh year in a row. The team, led by co-founder and chief ranter Nick, are a proudly outspoken gang who aren’t afraid of standing up for real, honest food. Throughout the weekend Festival-goers will be given the chance to join them in their mission to eat right, and stay brilliant by speaking up. The 2015 Festival is supported by a number of high profile businesses from across Wales and the UK including Cardiff Airport, Alun Griffiths Contractors Ltd and Chase Distillery, as well as support from Welsh Government, Monmouthshire Council and Abergavenny Town Council.